Social Media Week Austin brought together social media experts, digital power players and brands last week. Gathering at the UT campus, featured speakers from Bumble to Whole Foods Market spoke about their experiences using social media. In total, more than 100 speakers shared ideas and actionable insights with an audience of 800 industry peers. As well, our very own client, Laura Musa of Adlucent, provided key insights for making social performance soar. The theme of this year’s conference was “Stories.” Designed to empower professionals with a deeper understanding of social media strategies for business, this theme explored the role of social media in spreading awareness, news and stories across platforms. Social media is under more of a magnifying glass than it’s ever been before. As usage becomes more widespread, more regulations have kicked into high gear. For example, Facebook underwent scrutiny for certain practices uncovered within its data collection strategies. Platforms like Instagram also had to implement regulations for influencers announcing paid partnerships. These new regulations improve the safety and accuracy of social media advertising and digital marketing. And as consumers discover new products on social platforms, they also look for transparency in the ads they see. With this thought in mind, this year’s Social Media Week Austin brought together the best in the business. Given Social Media Week takes place in over 28 cities, the Austin conference provided attendees with a global scope of everything going on in the world of social media. Find the full list of cities hosting their own social media weeks here. B2B marketing is intricate and complex. Your company’s product or service evolves as the end-user’s needs change. The messaging to support it can also be in a constant state of optimization. You launch marketing campaigns, waiting to see what resonates. And managing the sales funnel, with any given lead at a different consideration or decision stage than the next person, can be overwhelming. The nuances of a stellar marketing strategy make your day-to-day a challenge – hopefully, a fun one. Figuring out where social media fits into the mix can be an exciting endeavor, too. Here are some tips I’ve learned along the way in guiding several B2B companies through their social media beginnings. The business case for social media will differ depending on your industry and target audience, but don’t “do” social media just to check a box. Neither should you dive into every channel with the same level of care and intention. While there are benefits to being present on most social channels, allocate the majority of your time to the one that aligns with business goals. Decide which channel(s) will be “table stakes” – where you maintain a basic presence for the sake of brand awareness. Then determine which you’ll focus on for a real contribution to your bottom line. In many B2B cases, this translates to more of a focus on distributing thought leadership content on LinkedIn or Twitter, and not so much tinkering with Instagram. If you have ambitious sales goals for the coming year, it may make sense to spend less time curating pretty pictures and more time writing long-form content to distribute to prospective decision makers. But, if imagery meets your B2B needs, then by all means, do it beautifully. Just tie your efforts to engagement opportunities and measurable outcomes – it will help you see where your time is best spent, and keep you moving in the right direction. One thing to note in distributing thought leadership content through social media: find a balance between free and gated content. Securing a white paper behind a download form can bring you qualified marketing leads, but it might also be a hard-stop for those not ready to be sold to yet. So, think of the value you can provide someone before they’re ready to engage with you directly. Then, delight them with helpful content, no strings attached. What are you already doing in your marketing that can be further amplified on social media? Think of the tradeshows and networking events you’ll attend this year. What content should you post in the days leading up to the occasion? Is there an event hashtag you can explore, participating in social chatter ahead of time or on-location? Equip your people to magnify the brand on social. After all, we’re more likely to make a purchase decision based off recommendations from people we have common ground with or know personally. If employees organically share your company’s content, adding their own perspective, those who follow them will trust the content that much more. An easy way to empower employee engagement is sending an FYI email ahead of something being published. Provide ready-to-go language for them to copy and paste. You’re doing some of the work for them, further encouraging them to participate online. Feeling inspired? I hope so! All of these tips are well and good, but knowing where to begin can be daunting, which is why we’ve also put together a how-to on starting your social media program. Or if you’re interested in exploring the possibilities of paid social, dig into our guide on successful LinkedIn marketing. Social media is just one piece of your overall B2B marketing strategy. When done right, it will help you make real connections and lead to ongoing client relationships. CJ Johnson is an award-winning photographer and content creator, a GQ Insider and Google Next-Gen Policy Leader, and a well-known “brand guru.” We wanted to learn more about his process and asked for his perspective on the state of influencer marketing. KG: How do you as a social influencer create partnerships, and what is your criteria before aligning yourself to an opportunity? Typically, I say yes to partnerships or sponsored opportunities with brands if it’s an industry I’m knowledgeable about and interested in already. That’s important. Then, I want to be sure the ROI makes sense and is beneficial to me and my time. More and more, I’m starting to explore social causes, too. Creating these partnerships varies – some come organically my way, others I reach out to. If my goals are aligned with those of the brand or cause, then it’s off to the races. KG: Recently there have been headlines about consumers feeling “influencer fatigue,” as they voice feelings about inauthentic content. How should you and other social media influencers respond to this sentiment? CJ: Influencers who are frustrated or misunderstood by this discussion are feeling a bit judged. There is always room for improvement – everyone can agree on that. The “fatigue” mentioned is stemming from every influencer trying to compete with one another, and the inauthenticity is felt because of a lack of imagination as people copy each other. To help the state of influencer marketing, people need to be more educated about this industry and there also needs to be a culture that fosters more creativity. Additionally, a more standard pay structure would help influencers understand their market value and how to better negotiate their pay. Right now, influencers – and the brands they collaborate with – are in the dark with what the market asks for. It’s a bit all over the place. Someone with 100k followers on Instagram can demand $1,500 per post while someone else can ask for $500, and both parties don’t even know the real value of either ask. KG: You say there needs to be more education on the industry. In what ways do you see that playing out? CJ: For content creators and influencers, there needs to be a clear understanding of professional etiquette, the deliverables they’ll create for companies they collaborate with, and their overall value as a business. On the other side of this, companies need to understand what really incentivizes these content creators and influencers. It’s not just about free stuff or monetary value. Content creators and influencers honestly care about their messaging and the impact they’ll make on their community. With every collaboration there is a lot more risk involved than you’d think. That’s just the tip of the iceberg. There’s so much more to learn on both sides of the aisle. We’ll see more workshops, webinars and events that will center around these topics in the future, for sure. KG: Do you think the influencer space is becoming too cluttered? Is there still room for individuals to make their mark and curate authentic community online? CJ: For every article that talks about the pitfalls of influencer marketing, I see another that talks about how fast it’s growing into a lucrative sector. Two things stick out to me. First, the critiques often come from someone who is attempting to be an influencer, someone who is frustrated with not being recognized, even possibly experiencing a bit of “FOMO” (fear of missing out). The second thing is a difference in audience perception due to the influencer strategy – one sees content from influencers as annoying advertisements, and the other has no idea they’re looking at an ad in the first place. In any case, I think transparency and authenticity is key to growth and success in influencer marketing. Even if it’s cluttered, it’s a growing industry. Influencer marketing used to be a thing only a few people were doing online, and now there’s an upcoming generation whose sole goal it is to grow up and be an online influencer. I don’t necessarily think it’s a bubble waiting to burst – I think of influencer marketing as evolving just as the acting or entrepreneur industries have done. KG: What is your advice to companies considering influencer marketing as a part of their strategy? When you know which plan fits your goals, set aside the time to do authentic research. Yes, there are automated tools and databases, but it might be smart to also have a team-member (here’s looking at you, interns) do some research on influencers that fit your criteria. After researching, make sure your collaborative efforts bring as much value and long-term relationships as possible. Again, influencer marketing is incredibly impactful and a lot more cost-effective than people give it credit for. We enjoy following CJ online and think you might too. Learn more about what he’s up to by visiting his Twitter or Instagram. In recent weeks, we’ve explored how to develop a content strategy, how to set up a social media program from scratch, and how to use thought leadership bylines to earn media coverage. All of these content approaches complement each other and help reinforce a brand’s identity. But the power of the written, or recorded, word can only get as far as the audience you’ve built to consume it. Luckily, there’s a way to amplify the reach and impact of this owned and earned content that we find quite valuable and our clients are consistently curious about: LinkedIn Sponsored Content. 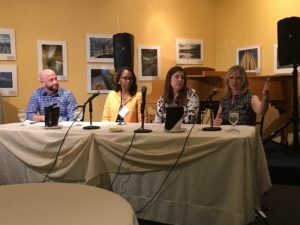 Adding a paid element to your PR program helps bridge the gap between traditional PR and traditional marketing, which shouldn’t operate in silos anyway. We like to take a strategic view of LinkedIn promotion, using a step-by-step practice to develop and continually optimize a highly-targeted LinkedIn ads campaign that complements existing content development and organic social media initiatives. The approach outlined below helps identify hyper-relevant prospects, target them with the right content, understand what content to create in the future and serve your company’s ultimate marketing goals. Demographics – Job function, seniority, company name, geographic region, industry, etc. Awareness: Have realized and expressed symptoms of potential problems or an opportunity. Consideration: Have clearly defined and given a name to their problem or opportunity, actively looking for ways to address the issue. Decision: Have defined their solution strategy, method or approach and ready to take the next step. Identify and/or develop compelling ad copy (150 words or less) and visual content that make readers want to click on or download the content you’re promoting. If you can’t sell your content, no one will read it no matter how informative or well-written it is. Hint: Include calls to action, statistics, quotes, actionable text. Sponsored content campaigns are promoted through paid channels based on posts you have also made directly on your Company Page. They are best used to attract new followers to the company website or landing page and drive engagement with company-specific content. Company Page posts (status updates) can be promoted in the newsfeeds of both followers and non-followers whose demographics have been specifically targeted. This is a good option for posting blog content, articles about your company or to showcase commentary, award wins, customer or product announcements, and more. The direct sponsored content option allows you to post content directly in the LinkedIn feed without the content originating on your LinkedIn Company Page. This is useful if you don’t want the post to clutter your company’s LinkedIn profile page, but otherwise operates the same as sponsored content. LinkedIn also offers more traditional website ads, which lead readers to the company website and often start at $2.00 per click and up. These are best leveraged for sending interested parties to your website to download gated content – whitepapers, e-books, case studies, webinars – for lead generation, or to product pages for direct sales promotion. If you choose this option, you should set up goal tracking in Google Analytics to count how many contact form submissions are received as a result of a given ad. Then judge what your cost per lead is and determine if it is delivering appropriate ROI. Finally, you’ll need to decide what your total monthly budget for LinkedIn ads will be, and how you’ll allocate your spend – either emphasizing CPM (cost per 1000 impressions) if your goal is brand visibility, or CPC (cost per click) if your goal is lead generation or website traffic conversion. LinkedIn Ads work on a bidding process, so depending on the audience you compete for, the price will change to show an ad. Bids are only processed at $.01 more than second-highest bid, so you can set your bids at the top limit of what you consider a fair value for the click or impression. It’s essential to monitor and analyze the key metrics of your campaigns on an ongoing basis. This review process is critical for finding opportunities for improvement to your campaigns, whether it’s improving reach, accuracy of targeting, CPC or CPM, website conversions, engagement and much more. You should use the LinkedIn campaign manager to review all the metrics available on the platform itself, but also refer to your Google Analytics reports to see how successful you’ve been at driving increased traffic to your website as a whole or to specific landing pages on the site. There are also tools like LinkedIn Insight Tag to your website that will help you evaluate deeper insights about your campaign and users to continue improve your LinkedIn, content marketing, and overall marketing goals. To learn more about how LinkedIn can help drive brand awareness and lead generation as part of your PR or marketing program, feel free to reach out to me directly – [email protected] – and don’t forget to follow Ketner Group Communications on LinkedIn and Twitter for more valuable tips like these. Social media is a key element of any marketing strategy, allowing brands to connect and engage with their audience and grow the business. Whether it’s used to generate leads, showcase new products, deliver better customer service, or manage reputation and brand image, businesses are taking advantage of the benefits of social media platforms to help generate online exposure. Over the years, we’ve helped clients increase the visibility and impact of their ongoing social media initiatives, but we’ve recently taken on an entirely new challenge: launching a social media program from scratch. Although creating a social media program can seem daunting at first, with the right plan of action, you can see great results in just a few months – we have! Below are some easy steps we followed to create a successful social media program for a client of ours, with helpful tips we’ve learned along the way. As with any other PR campaign, it’s important to define your goals from the start so you know what success looks like. Then, work backwards to identify the steps you’ll take to achieve that goal. Aimlessly starting a social media program will result in just another content channel with limited purpose, and less impact. Carefully develop an overarching goal, and define campaign strategies and tactics that help you achieve it. Which channels are the best fit for my company? How often should I be posting on each channel? Should I use paid or organic posts? What sort of content should I be focused on? This is also a good time to conduct a competitor audit to understand how your competitors are doing online and what type of social content they are posting. The more you know, the more you can be confident with the decisions you make! Now that you’ve identified which networks you’ll be active on, it’s time to set up your accounts. Fill out your profiles completely with an easy-to-understand bio (no jargon!) and appealing visuals that are tailored to your audience. Also, make sure to give the appropriate people on your team access to the account so they can manage the pages, too. Go back to your research and see what sort of content you should focus on. Channels shouldn’t be overly promotional, so balance company news and products with thought leadership articles to show that your company has a firm grasp on the impact of the latest industry news and trends. Tip: Schedule a few posts and fill your page with content before you start following people. That way, people visiting your page don’t see an empty feed with no incentive to follow back! Start following relevant users who you think could benefit from your channel. Remember, gaining more followers isn’t always the main objective. Look back at the goals and strategies you developed in Step one and target followers that will help you achieve it. It’s also a good idea to send out an email to your employees, encouraging them to follow and engage on your platforms. Tip: Liking relevant posts is a great way to get more people to find your channel. You can also use hashtags and tag users in your posts to get more views. With so many moving parts, you can’t expect to get your social media strategy perfect the first time around. That’s why testing and evaluating your strategy on a regular basis is necessary to creating an effective campaign. Look to see if you met your short-term goals and assess what you can do to improve the program. After you’ve taken a look at what’s working and what’s not, adjust accordingly. Re-strategize and take action on what you can do to optimize your social channels. Take the value of your strongest-performing content to the next level by putting paid behind your posts. Not only do you get to set your own budget, you can also collect data on the type of people viewing and clicking on your page. If you’re being strategic and really targeting your audience for lead generation purposes, paid social can lead to results that are far beyond industry averages. For example, we’re seeing click through rates (CTR) as high as 1.739% for one of our clients on LinkedIn – way better than the industry benchmark of 0.13% – even while keeping the cost per click (CPC) under the industry benchmark! With constant analysis and tweaking of content messaging and audience targeting, these results only get more impressive. Tip: LinkedIn allows you to upload a list or specify a segmented audience to target. It also says that the most successful campaigns target between 60,000 and 600,000 membersat a time. If you don’t have a social media program in place yet, now is the time to start. Feel free to contact our team at Ketner Group to learn more about how we can help your business develop and manage a social media program that meets your business goals! This blog was written by our intern, Madeleine Hatley. Amazon launched their third annual Prime Day starting Monday, July 10. Prime Day 2017 was the biggest sales day in history for Amazon, surpassing both Black Friday and Cyber Monday according to the Amazon press release highlighting the outcome of Prime Day this year. Despite popular opinion, this ‘micro’ holiday is not about boosting sales. It is simply a marketing tactic to advertise their “Prime” membership that guarantees customers fast shipping for an annual fee. And, boy, does it work. Prime Day sales grew by more than 60 percent from last year, with a “record number” of Prime members shopping across 13 countries, Amazon said. It added that “tens of millions of Prime members” made purchases during Prime Day, up more than 50 percent from Prime Day in 2016. According to a recent Consumer Intelligence Research Partners report, from June of 2016 to June of 2017, Amazon gained around 44 million subscribers. Although Amazon refuses to disclose an exact number, estimates show that Prime currently has around 85 million subscribers. With 30 hours to shop, Prime members flocked especially to Amazon devices like the Echo, Fire tablets and Kindle devices, with the most popular device sold being the Amazon Echo Dot. Other top sellers include DNA tests for health and ancestry, gaming consoles such as the Nintendo Switch and PlayStation Plus memberships. The sales event also slashed prices on a number of fashion items and beauty products, including marked down fashion brands such as Calvin Klein, Gant and Tommy Hilfiger, with prices going down by as much as 40%, according to The Telegraph. Although Amazon has seen major success from its annual holiday, it doesn’t mean that competing retailers need to fret. Research suggests that Prime Day could, in fact, be helpful to other online retailers. According to an analysis from Criteo, Prime Day creates a “halo effect” for other retailers, with online traffic increasing for major ecommerce sites around 15% on Prime Day 2016 and the day after, compared with weeks earlier. This means that Amazon Prime Day is the perfect opportunity for retailers to cash in on the consumption culture that the online giant created, a similar effect from Black Friday or Cyber Monday. Shoppers are on the hunt for well-timed promotions within this time frame, and it’s up to retailers to lure them in beyond Amazon’s borders. For example, Claus Commerce-powered Freeshipping.com boosted profits last year when they saw an uptick in their number of orders and the average order value, when they offered a 20% discount last Prime Day according to Bezinga, indicating that positive outcomes can come out of Prime Day, even for competitors. Retailers are trying harder this year to grab customers’ attention and drive sales around Amazon Prime Day. Kohl’s offered 30% discounts on summer clothes and accessories for 30 hours. Other stores like Toys R Us and Best Buy were also ahead of the game and featuring sales lasting six hours longer than Prime Day, featuring sales on Google Home. Retailers should learn that in order to compete with Amazon, they have to be creative in the way they advertise around this holiday fueled by capitalism. They will have to market products consumers want at a reasonable price, advance technology on mobile platforms and get innovative to grab customers’ attention. Retailers that stepped up to the plate on Prime Day in terms of competition were Wal-Mart and its digital company, Jet.com, as well as Macy’s. Wal-Mart matched many of Amazon’s discounts on various items. Market Track compared prices and determined Wal-Mart’s efforts to compete stood out the most among many companies. Similarly, Macy’s hosted their annual “Black Friday in July” sale that offered 25% off site-wide and offered free shipping exclusively on Prime Day. With sales expected to top $1 billion this year, Amazon has seen major success in its Prime Day efforts. Now, it’s up to competing retailers to strategize their game for next year so that e-commerce customers can focus their attention on deals outside of Prime Day. The biggest sports event of the year, the Super Bowl, is one of America’s most highly celebrated events. Millions tune in every year to watch two teams go up against one another, competing for the NFL’s biggest title. But this year I tuned in for a different reason, the ads. Companies often use the Super Bowl as an opportunity to move a brand or product forward in the marketplace, pioneer forward thinking and engage with their consumers. With this in mind, many brands are moving beyond the traditional TV platform to share their message and create a bigger strategy out of their 30-second ad spot. This is where public relations and marketing come in. Since brand’s now have more opportunities and channels at their disposal, they can create and drive an entire campaign around one ad, such as Lumber 84 did this year. The televised “The Full Journey” spot prompted users to head to their website to discover the uncut film and find out what happens at the end of the journey. What you found was not a simple advertising campaign, but a powerful statement that has made this brand that was previously only well-known in the building supply industry, a household name. Shortly after the spot aired, Lumber 84’s website crashed as a result of social media conversation and publicity around the advertisement’s message. Airbnb’s Super Bowl spot was part of larger campaign launch. Shortly after their “We Accept” spot aired, I received an email to my inbox as a call to action to learn more about their brand and #weaccept campaign. After clicking the “Learn More” button, I was led to a blog post that provided me with more information about the campaign and Airbnb’s corporate social responsibility initiatives. These cross-channel marketing strategies are one of the many tactics communications professionals are using to make their advertising dollars go further. And, we saw this not just after the ads aired but before kickoff. Many brands teased their spots before the Super Bowl event to generate buzz, create curiosity and engage with their audience. Whether it’s before, during or after the big game, ultimately, brands need to implement a strategy that will resonate with their audience. But the challenge is figuring out how to do that. In the age of digital, brands are always looking for new ways to break through the noise and be top of mind. No matter the medium, it’s now more important than ever for advertising, marketing and public relations professionals to join forces and communicate one cohesive message while keeping the consumer in the middle of the conversation. This blog was written by our intern, Kamilla Rahman. If you’ve ever surfed the web for more than 10 minutes, you’ve definitely come across the word millennial at least five times. 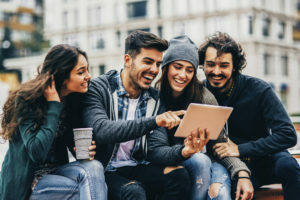 People are constantly talking about millennials, what they’re doing, what they want, what they will be doing, how they react and how to resonate with them. Even the KG team has been known to write about millennials on behalf of our clients from time to time – here is a recent example. According to Investopedia, “a millennial is the given name to the generation born between 1982 and 2004…this generation is often associated with technology and social media.” In the last couple of years, there has been a more specific consensus. A millennial is basically someone in their 20’s or 30’s. The world is infatuated with millennials, and as a millennial, I honestly don’t get it. I was flipping through a few articles the other day and almost every article referenced the millennial generation. I do understand millennials are important, especially when regarding technology and retail. We’re a different generation, we’re nontraditional, we’re viewed as more independent, we have different expectations and we are more technologically advanced than our parents and grandparents with a tremendous amount of buying power. Though all of these articles are extremely insightful, as a millennial, I don’t understand why all of these brands and companies are constantly trying to appeal to us. The word is everywhere. It’s basically inescapable and everyone seems to think that appealing to a millennial is the magic key to all things holy and great. My brother and I are both millennials. He was born in 1985 and I was born in 1995. Throughout most of our lives, our purchasing habits, interests and even technological awareness have been different. Though they are closer today than they have ever been, they’re still completely different. He’s 31, he goes to work, has meetings all day, buys suits and dress pants, goes to CrossFit, has nice dinners with his beloved girlfriend, just bought a house, gets a beer with his buds, checks his iPad for emails, pretty much knows what he’s doing with his life and occasionally has a late night out. I, on the other hand, am 21. I’m about to start my senior year of college, I intern, I’m an avid online shopper, I go out with my friends almost every weekend, I study, am always on the move and suffer withdrawal symptoms when I don’t have my phone for more than 45 minutes. The only things we really have in common are that we stay busy and know technology. I may be wrong here, but that just doesn’t seem like the proper way to target consumers, especially in retail. The word millennial is too broad. It encompasses people that are in completely different stages of their lives. To me, focusing efforts around millennials is just an over-followed trend. Don’t get me wrong; appealing to millennials has definitely shifted the way marketers appeal to consumers. It has become intuitive, personal and brands have figured out how to market in a way that is additive to peoples’ lives. But if you think about it, don’t generations older and younger want that as well? In retail and technology, a new goal is personalization; so my question is why do these industries continue to obsess over a market that appears to be so diverse and vague? A “gif” is defined as “a computer file format for the compression and storage of digital video images.” (Thanks, Merriam-Webster.) But most recently the term has come to define the looped video used in reaction to a situation or to add “color commentary” to an ongoing conversation between groups of people or to one’s social media post. Suffice it to say, I am a BIG fan of them. Gifs really are the new expression of emotion or reactions through a two-dimensional medium, be it in interoffice messages or texts with friends. Some might argue that emojis are the current “it” thing, and while I appreciate a good emoji conversation, nothing really says “I-just-secured-awesome-coverage-for-my-client-and-didn’t-break-a-sweat” like Michelle Pfeiffer in Grease 2. Or when receiving an unexpected complement, I look to a children’s classic. Many brands and companies have introduced their own branded gif keyboards, including Kik with their partnership program, Starbucks with their Frappuccino featured keyboard and Mississippi State’s athletics focused keyboard, to increase their reach with consumers. With these brands creating their own keyboards and countless others in development, it’s generating a whole new vehicle for us to engage with those brands and use those brands as a means of self-expression, much like we would clothes or accessories. This integrates brands further into our everyday lives, blurring the distinction between marketing and organic content, including GIPHY’s head of business development. As my parting gift, I’ll leave you with the hilarious fail gifs and let you see if you can figure out which ones are branded.